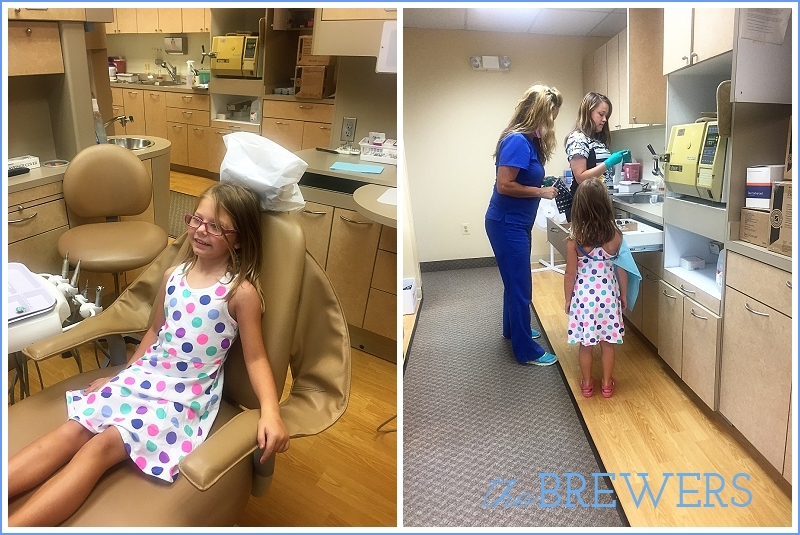 Autumn had her very first visit to the dentist in July, and luckily it was a successful one! 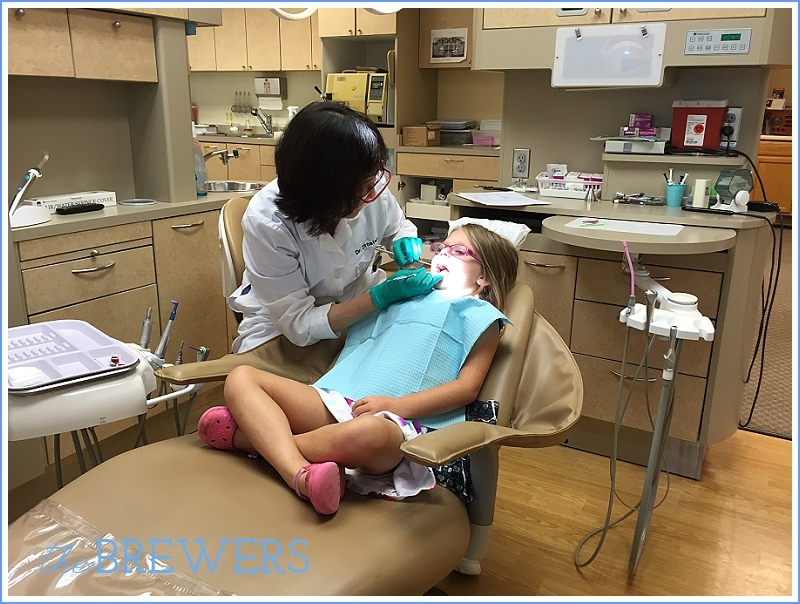 I took her to the same office I went to as a kid, which has become our family dentist as well. When we originally sat her down into the chair she didn't want anything to do with it. Maybe it's all those dentist iPad games where you're pulling bugs and all sorts of gross stuff out of their mouths... 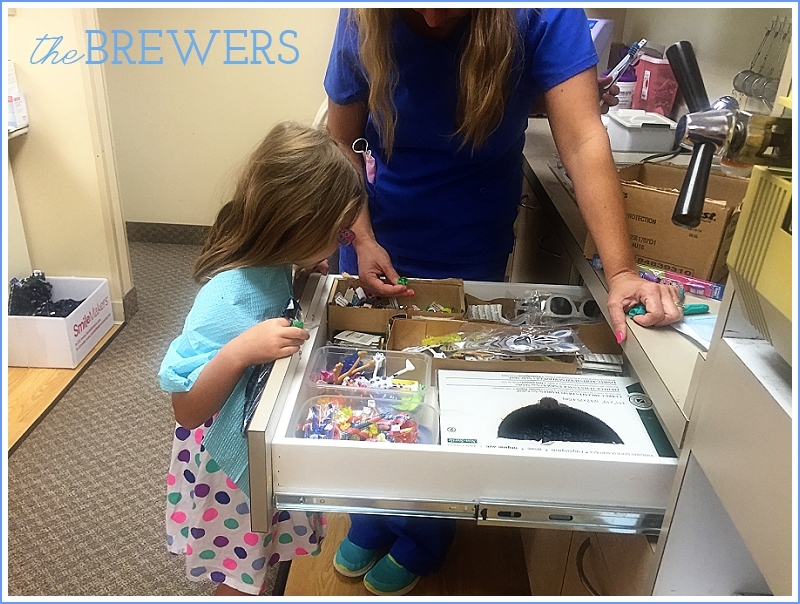 Anyway, after changing the flavoring of the toothpaste or cleaner and taking a trip to the "treasure drawer", she was much more receptive to having her teeth cleaned. 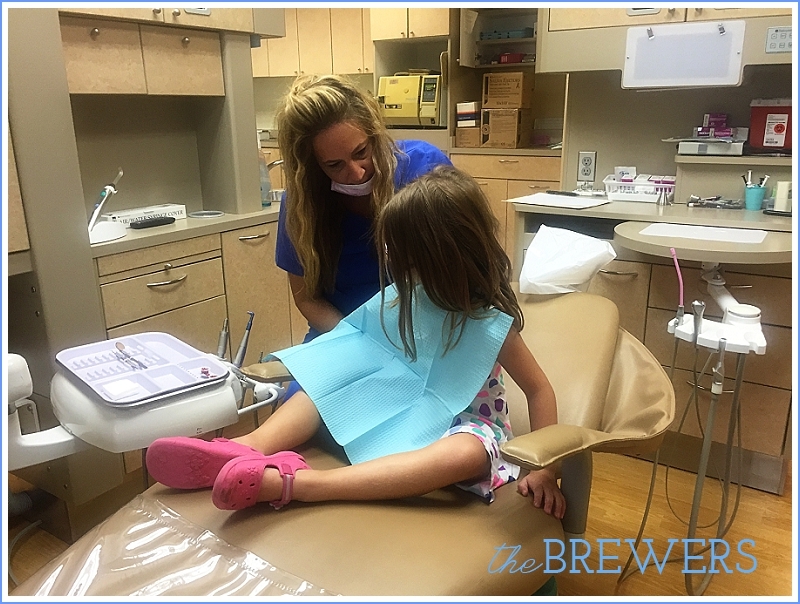 The actual dentist was great with her and Autumn flew through her exam. We found out she had TWO - not just one, but TWO! - loose teeth. I had no idea! Autumn was ecstatic. 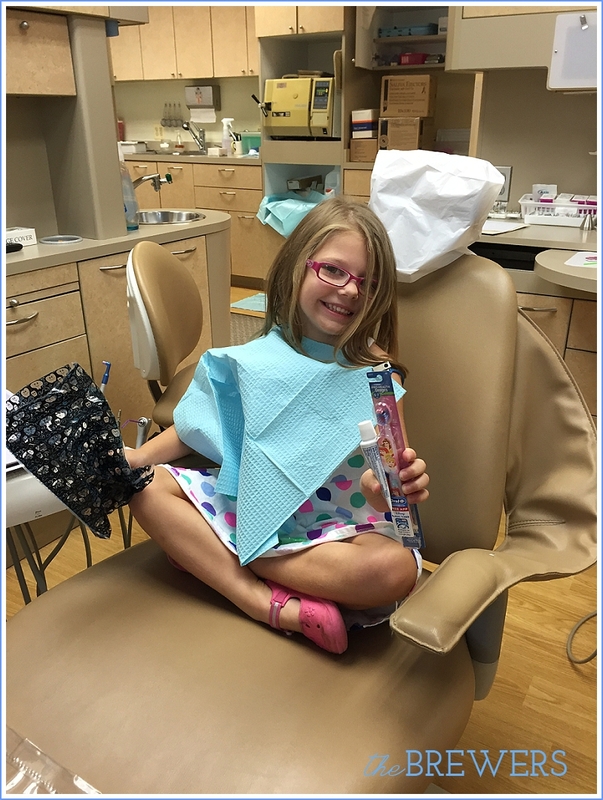 She didn't have any cavities either - she's got her momma's good teeth! We're glad to have this milestone over with and maybe next time she won't be so scared, now that she knows what to expect!